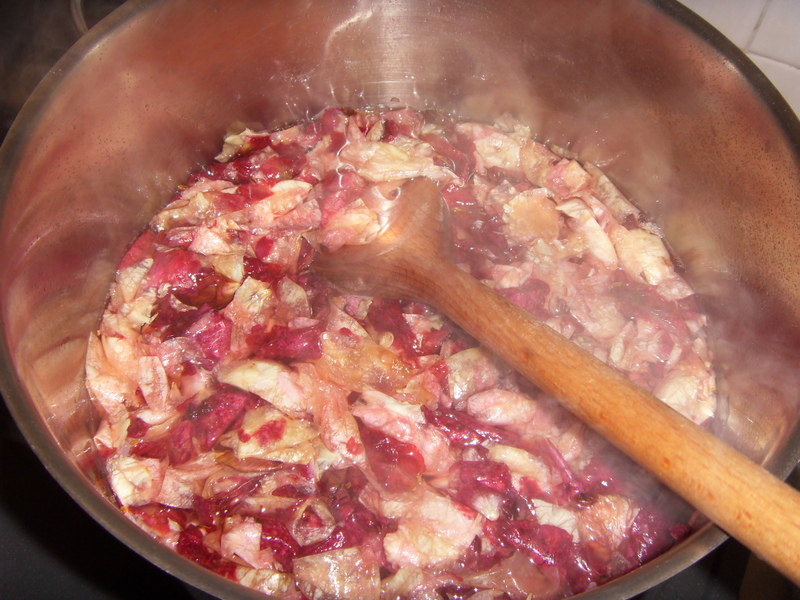 I have been wanting to make rose petal jam right from the firs time I saw the recipe when I was a kid. I remember it like it was yesterday, mum had her Australian Women’s Weekly opened and I was watching TV and she put it down and there was a commercial and I saw the recipe. 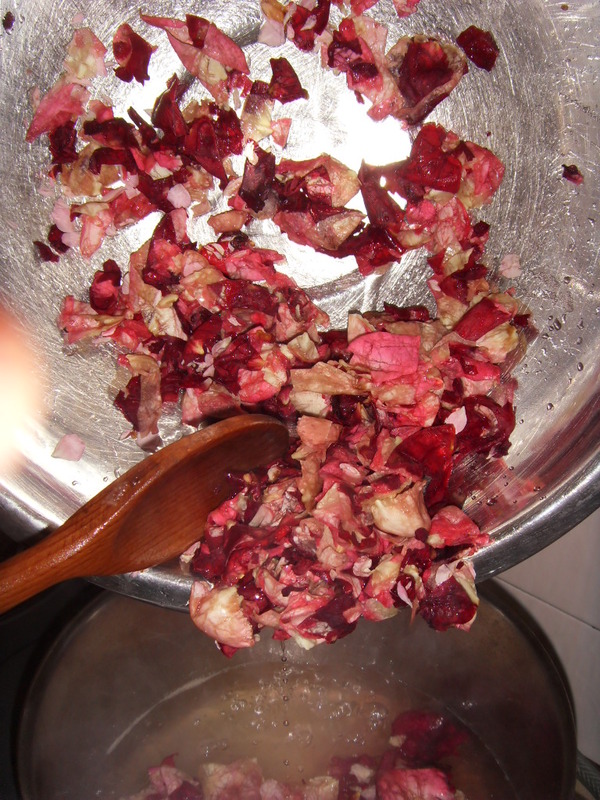 I remember looking at it and trying to figure out how rose petals might taste like, and trust me over the years I have plucked rose petals and eaten them raw, in fact once I ate a whole rose just like that, because is smelt nice and had a tinge of rose taste. The reason I never ever made it was because I ever had enough roses to make the weight, and when I did I never thought of it and when I did have some roses, I did not have the recipe. So today I had everything. Roses, Recipe and Time! By the way… my mother has not noticed her roses in the garden are all gone. If she does tomorrow, we’ll just blame it on the rain tonight. 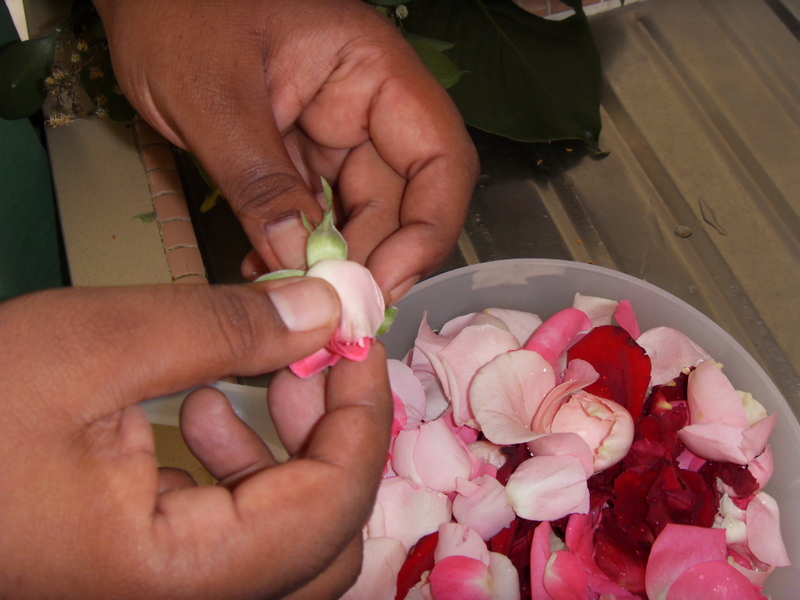 Step 1 – Plucking and Soaking the roses. 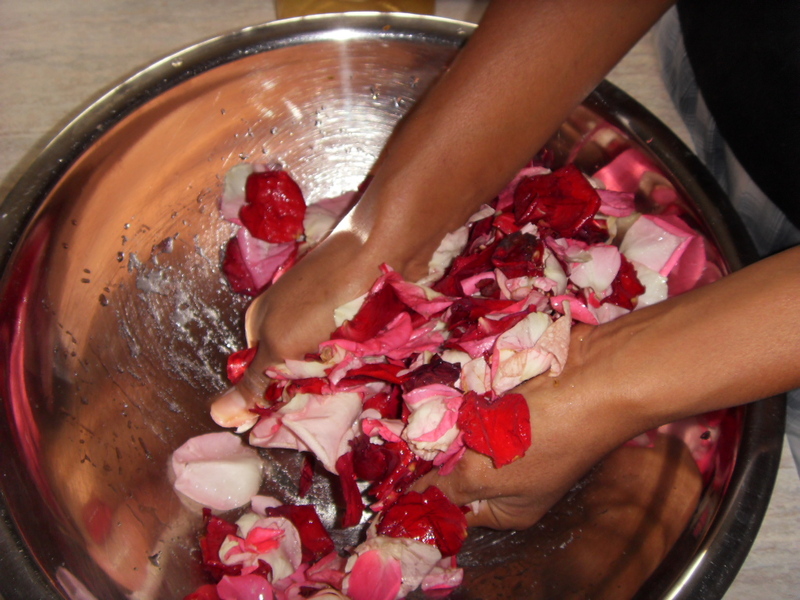 Now do not use fresh roses because I feel it’s a waste, use a few day old roses. 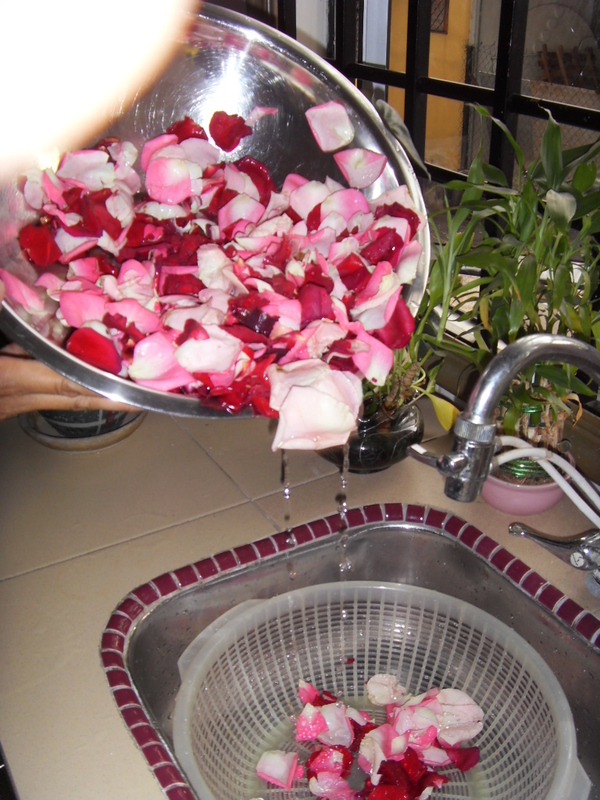 Now I have read about pesticides and all, and trust me I have eaten raw roses before with no side effects, so just in case, soak it and wash it three or four times. Do not soak it for a long time or all flavor and smell could be gone. Soak it for a few hours. Pluck it, soak it, do your stuff and once in a while wash it, drain it and re soak it. Yes, you read right, Sugar Bruising. 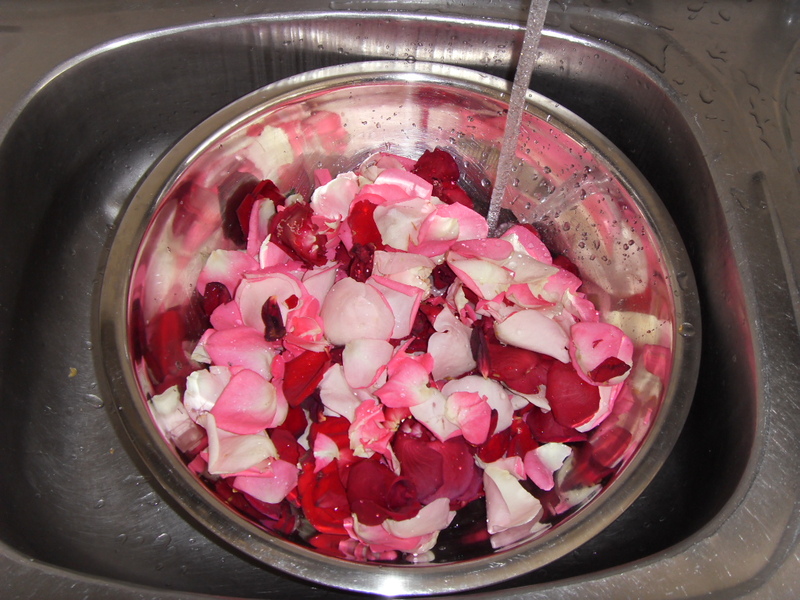 After Draining the water as shown in the photo, take a bit of the sugar and rub through the rose petals. So now the once fluffy petals will be all settled and look like a lump of petals. Just like the photos I have taken. Eda is helping me here. She still cannot understand why I am doing all this. Leave the Sugar Bruised petals for about 30 minutes or so. 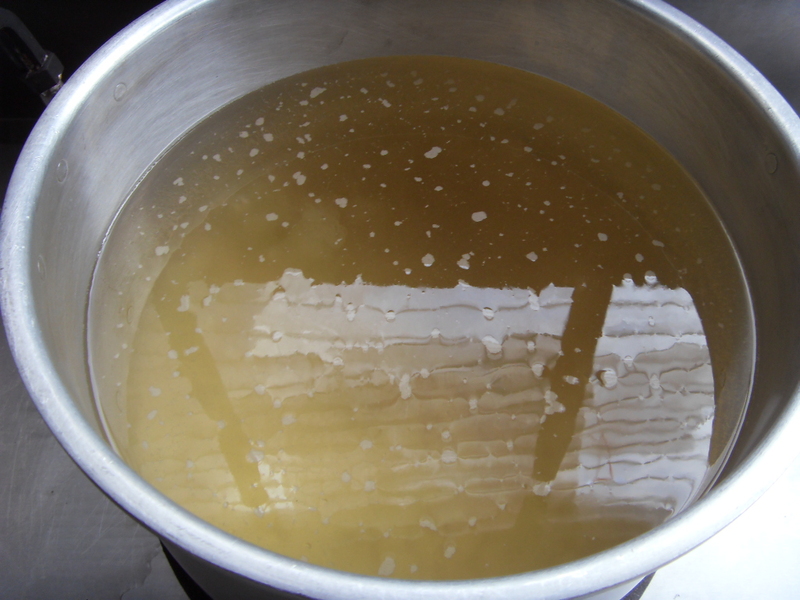 Boil water and sugar. I had a lump of rock sugar lying around so I used it. 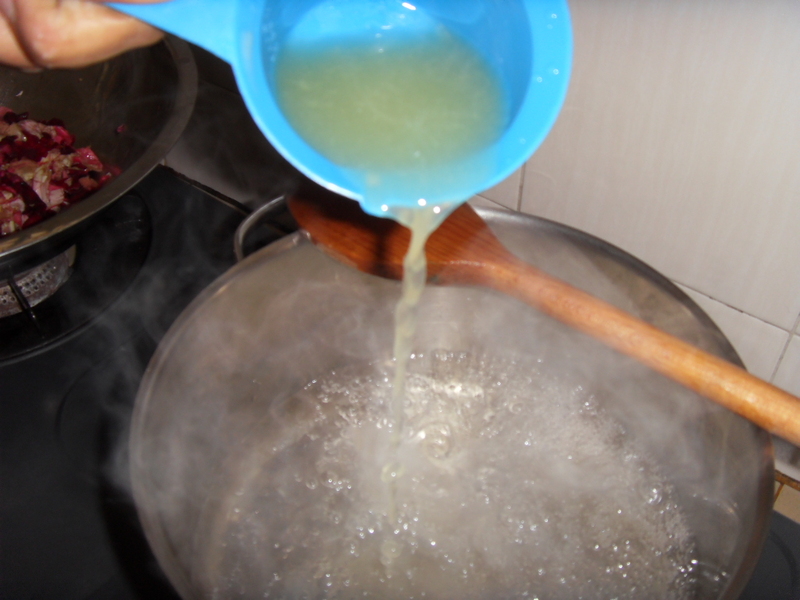 Let the sugar boil and add in the lemon juice. 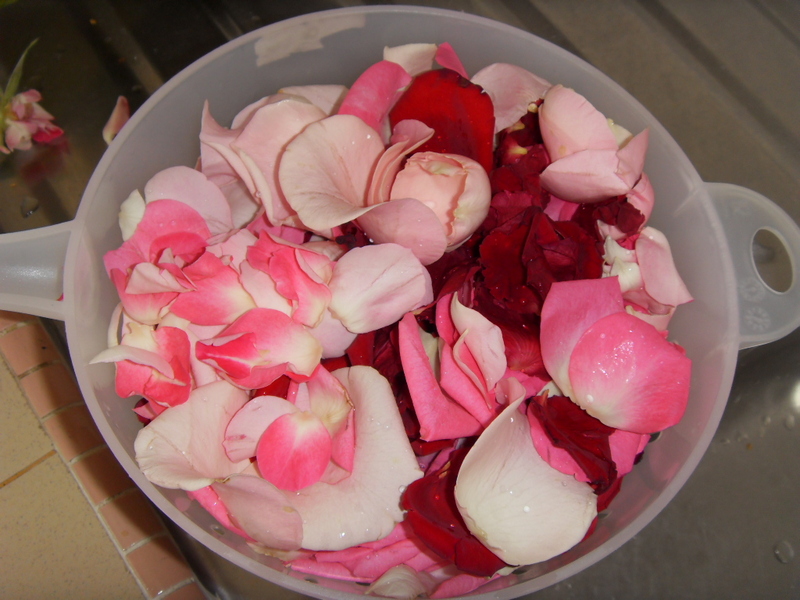 Finally, add in the Sugar Bruised rose petals. Leave it to simmer on a steady but low heat. Remember do not use normal cooking pots. 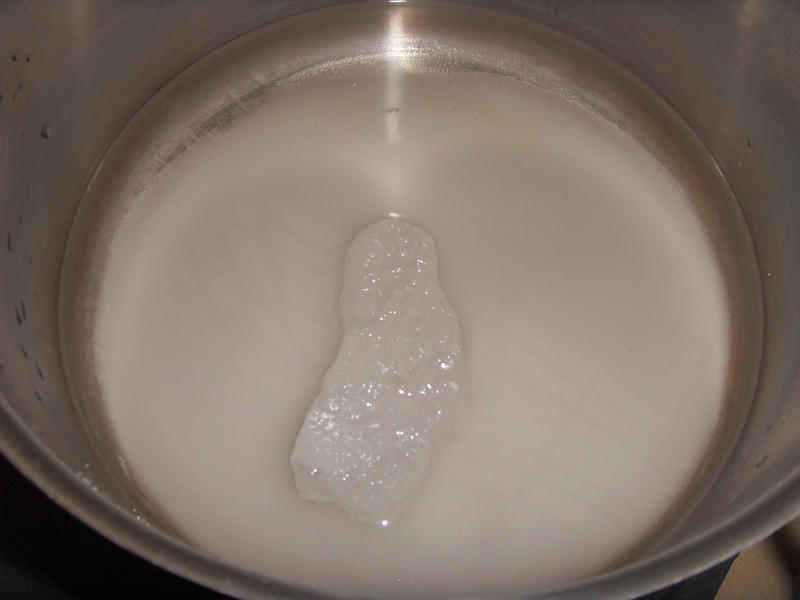 Find a pot with a thick base so the heat spreads out evenly and it will not burn. Stir from time to time. This process could take about 40 minutes to 1 hour. 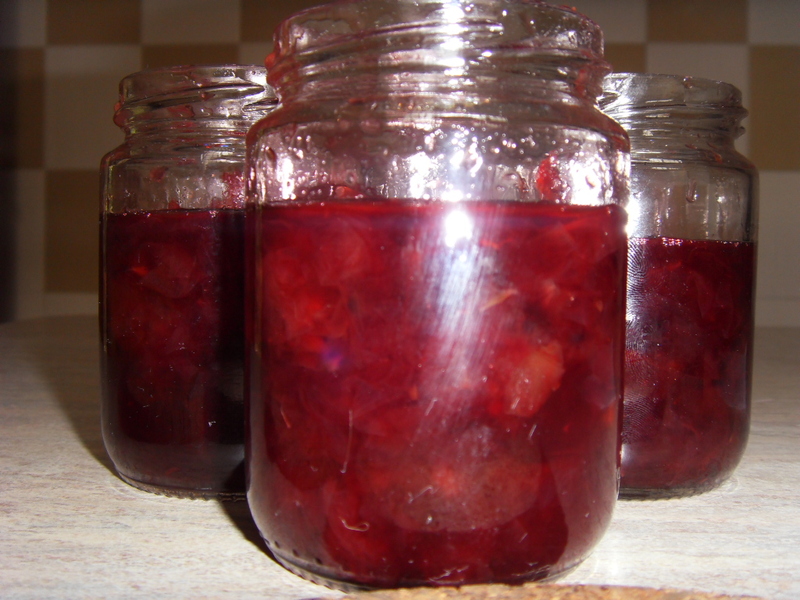 While this boiling is taking place, preheat the oven to 100 C. Wash Jam Jars and then place it in the oven. 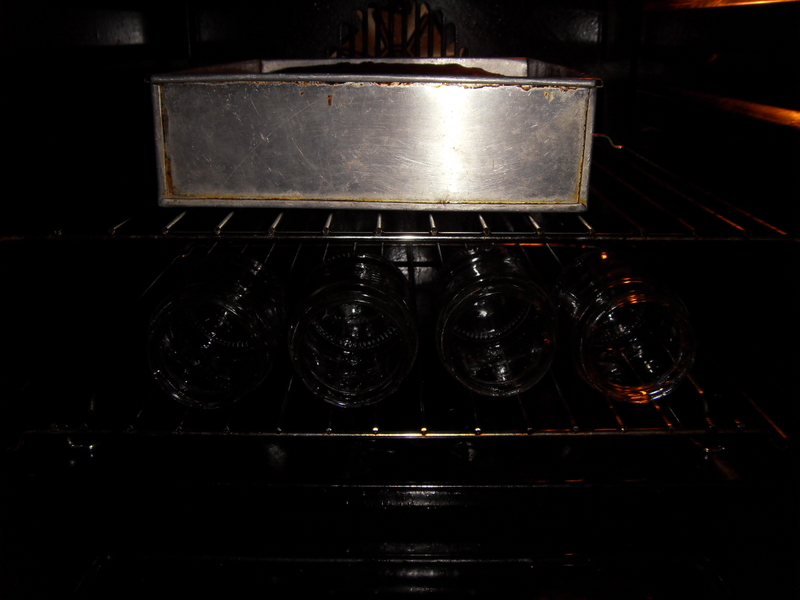 I was baking a chocolate brownie so I just placed the jars in the hot oven. Leave it to be sterilized for about 45 minutes or so. It should be just in time to fill it with jam. 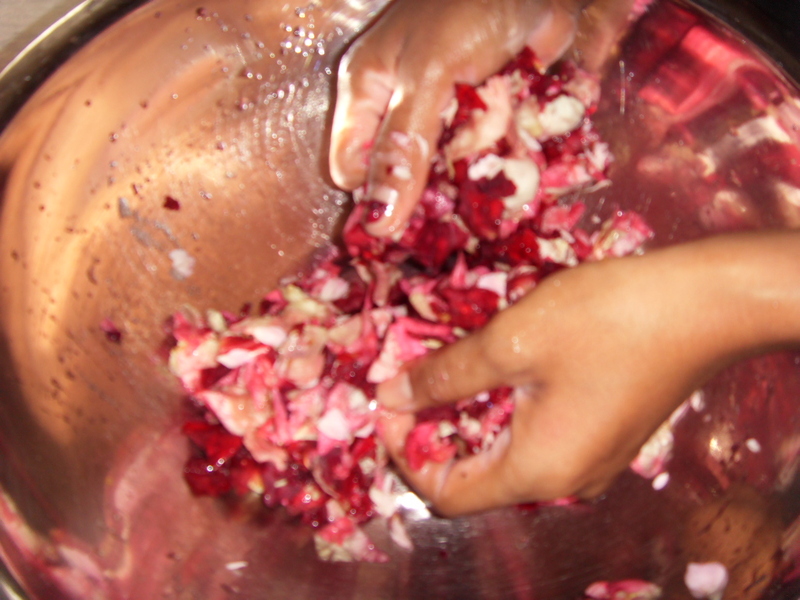 Do stir the Rose Petal Jam from time to time. Taste it, you may need more sugar or lemon juice. 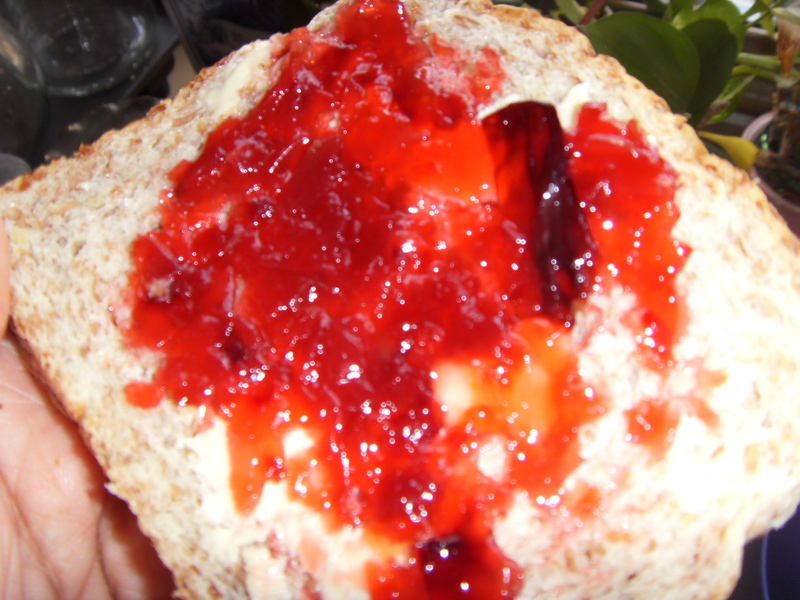 To test the jam, just drop a teaspoon of jam onto a saucer and leave it awhile. If it becomes a little sticky and gummy, then your jam is ready. 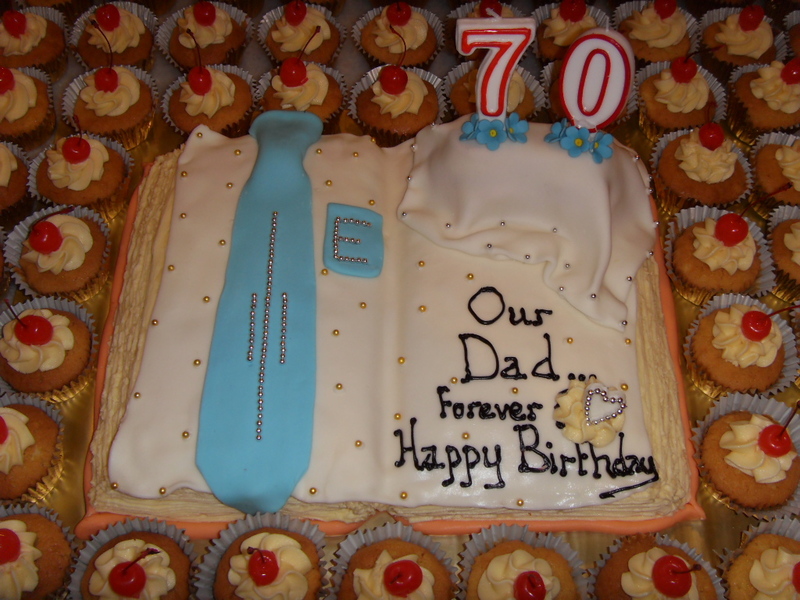 Well last week as mentioned a gazillion times was hectic and one of the reasons was the cake which I had to make a tiny bit more special then usual because it was for my dad. So here it is, it is once again a rush job because I had so much to do. It is really difficult to make a cake for a guy, worst still when it’s your dad who will say anything and everything is ok. That’s the worst kind. The design actually came quite by accident, I was going to write some soppy message and suddenly I shaped the tie by accident and the little blob of icing you seen between the words ,well that was a boo boo I made with the words, so I had to find a way to get rid of it. Everyone thought it was quite pretty. 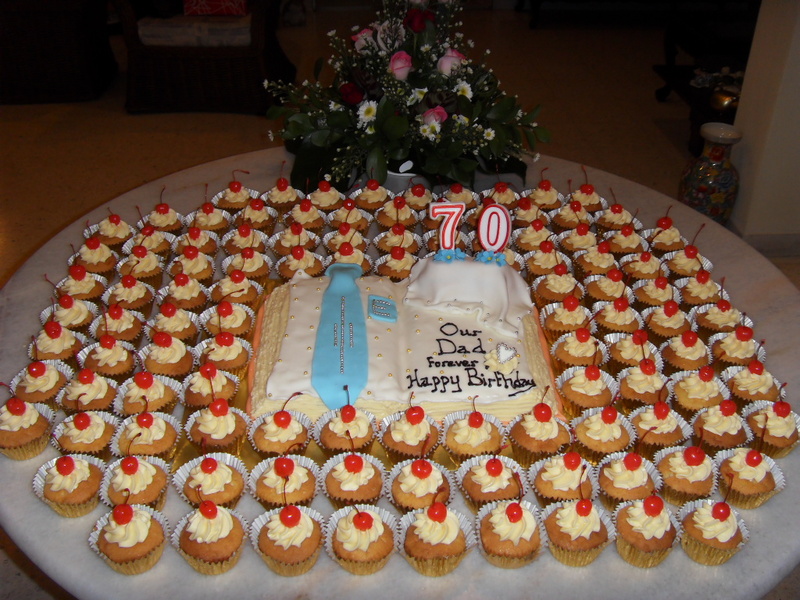 So the easiest was cupcakes and one not too big birthday cake. All together there was 10 kilos of Sujee Cake and about 3 kilos of icing, and of course those sweet maraschino cherries which I suddenly decided to use because Sujee Cake is rich on its own, so I thought a dollop of icing was more then enough or it would be too heavy. The best part of it all was not having to serve anyone that night. 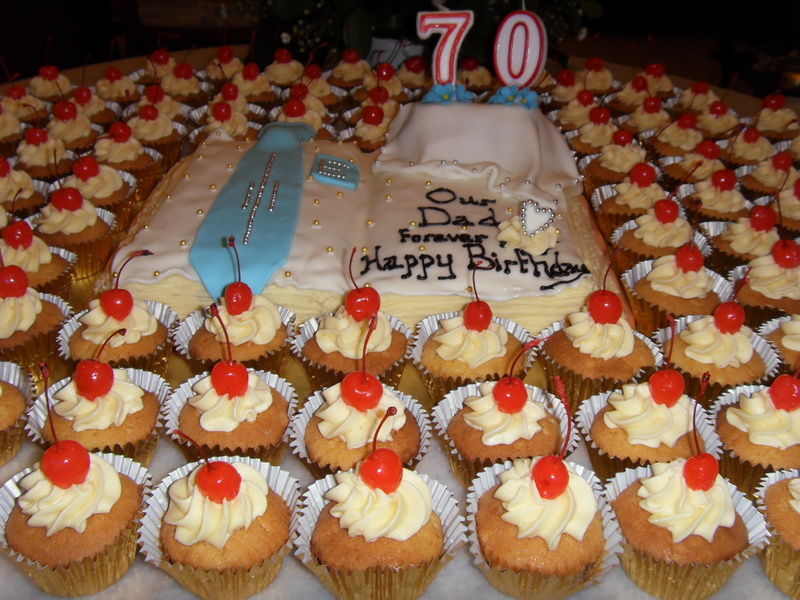 After we sang happy birthday, I told everyone to help themselves to a cake and GO HOME!… ok ok I did not say Go Home!… but it was nice, everyone took a cake and ate it and some wrapped it up in serviettes and took it home. No stress for me and the girls to pack cake and cut cake and serve it. So next time, Go Cupcake! Canton I is one of my most favorite restaurants for a while now, more then a year actually and I must say I have frequented the place with friends and family at least 20 times or more on various occasions, be it birthdays or get togethers or just wanting to go out to eat. Today is my Dad’s birthday so we Aunty Beth offered to buy dinner and of course me as usual was not to happy as I had to miss two class at the gym to have dinner, something I seldom like to do, so I suggested Canton I, as I knew the food would be small portions and I could disseminate the food to others without having to over eat. So after a horrendous trip there courtesy of my brother Keith whose short cut took so much time we could have actually flown to Singapore, we finally reached and what bliss it was when we entered the car park and there was a park waiting for us. It was a good thing too that Canton I was not crowded as it usually is. There was place and we did not have to squeeze through the crowd. So we were seated right in the middle of the place and ok I start with the negative first. They gave five of us two menus. Now I do not understand why they do such things but they did. Perhaps the menus are big so they wanted to save space but still the fact that our waitress who was pleasant but did not do anything to make us more comfortable by giving us enough menus to discuss what we wanted was a sore point. We had to ask her for more menus which she duly got for us. Then I asked her for the menu sheet which I know they usually use but she wanted to take the order down manually. Now to me, this made things difficult as it would have been easier to make us tick what we wanted after discussing with each other. Nevertheless, we did make our choices albeit missing out a few things which would have meant more sales for the Canton I. 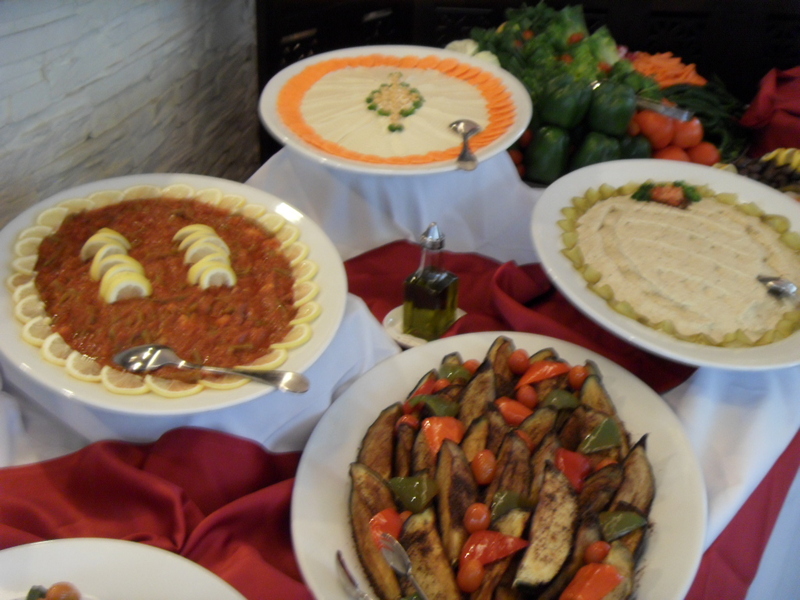 So here are the photos of our food. 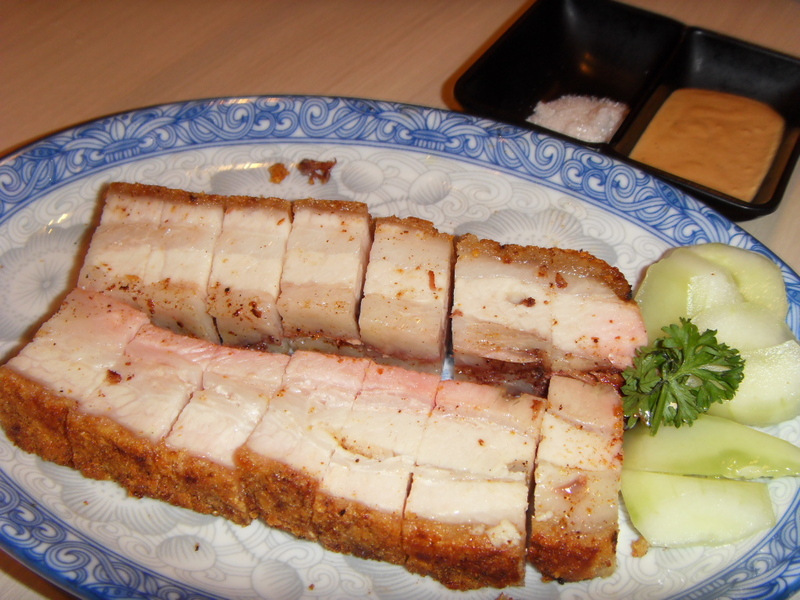 We started out with the famous Siew Yoke. Now I must say the Siew Yoke is still one of the best I have had and I am not even a Siew Yoke person. This time however, we had more pieces of meat compared to the last time I was there, which was a few days before Chinese New Year when I went there with a friend from London and then on Chinese New Years day when I went there again four days later with friends from Singapore. Today it was back to normal. Now the meat and the fat ratio is almost 1:2. For some reason I think that seems to be the right combination of getting the right taste. Now the more then 20 times I have been there, I failed to actually examine the skin and eat it on its own so I shall not comment, but it’s still wonderfully crispy and not teeth breaking like some places. 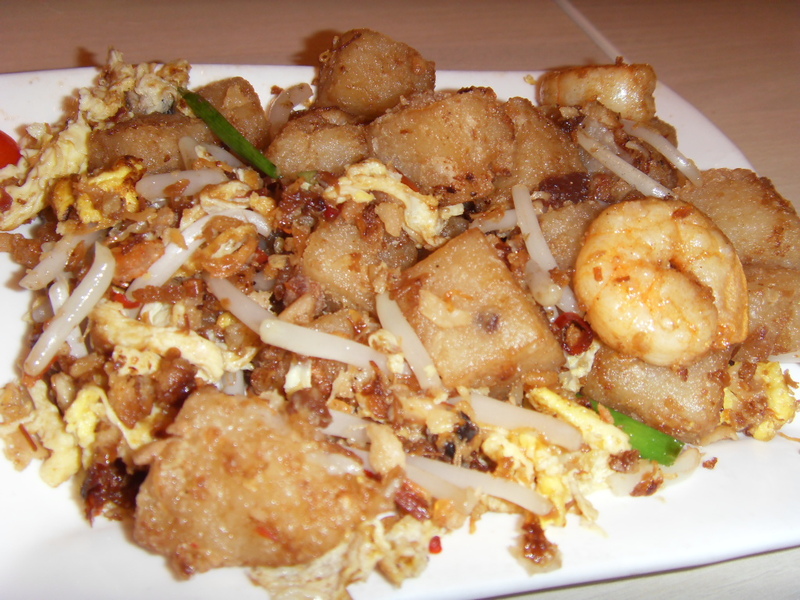 The came my favorite Loh Pak Koh (Fried Radish). This is always really good except once or twice when it was a bit salty, but the radish is fried to a slight crisp, and then refried together. Alas its not the healthiest way of cooking but think of every time you have something nice and crispy, I bet you its been refried. No complaints today, it was perfect. Wish they would put in more bean sprouts though. We ordered two bowls of congee. One was fish balls and fish and the other was fish balls with century eggs, but for some reason I did not notice it looking anything like it did in the photos. I believe Chan our pretty waitress took the wrong order. I did not want to make a scene and the parents would get riled up and a big scene would ensue. Now the congee (it’s not PORIDGE) is simply silken and thick and while you get to taste the rice but you don’t see it. It is thick but not starchy, kind of milky yet you know they use good rice and not leftover rice like some places. 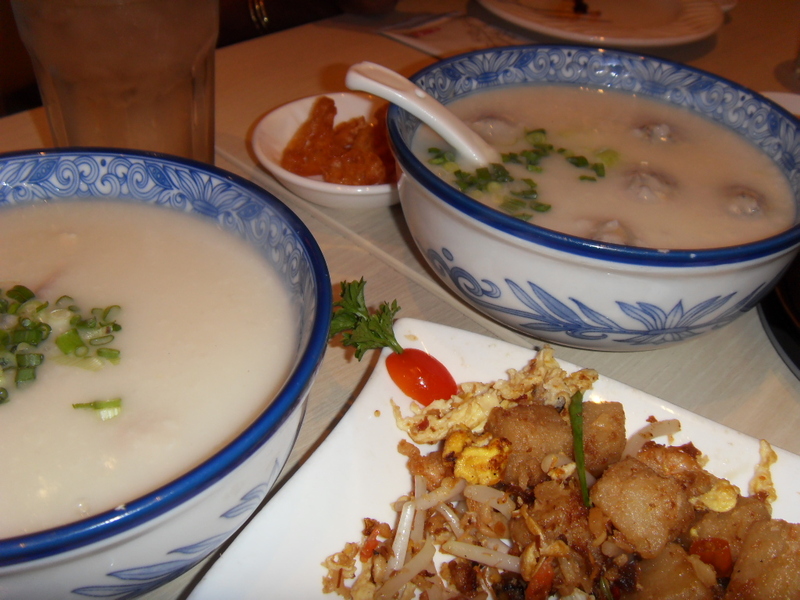 They use three types of rice to make the congee. Now the fish balls are made of Dace Fish. You get the taste of it but its not overpowering and fishy. I am not a fishball person but this one I like. You see the fish meat and you can chew it unlike normal fishballs which has nothing but starch flour and artificial flavoring. Then the Yau Char Kway (Crispy Fried Crullers) came. Now this is the best you can get in town. Its almost like a bread although Aunty Beth did remark the smell of Alkaline ( kan chui) was rather strong. It was actually, because I took a whiff but you did not taste it. Kan Chui is used in a number of our local kuihs as well. Paying RM3 for Yau Char Kway can be a bit daunting when you are used to paying nothing more then RM1 or even less around town. But this one is really nice, and clean looking. I can go on and on about it, so much so I forgot to take a photo of it. Shocking as well seeing that we had two plates full and I completely forgot. Then was Char Liung. Now the last time I had Char Liung at Canton I, it was horribly salty as they had given us the wrong soy sauce, so after that I did not order it again. This time it was the right soy sauce but I am used to a slightly thicker coating of Cheong Fun over my Yau Char Kway but somehow, this time it was not to be. The Cheong Fun coating was almost inexistent, in fact it was almost transparent. It was still nice though. I cannot complain. I did think the soy sauce we dipped in should have been more flavorful like the ones I have eaten in Australia and in one other place in PJ. The Har Kau (Prawn Dumplings) was somehow not as good as other days. It was nice if you have not been to Canton I before, but since I am a regular, I know it could be better. The prawn was crunchy but not as flavorful as before. Perhaps the fact that it is a Monday may have something to do with it. 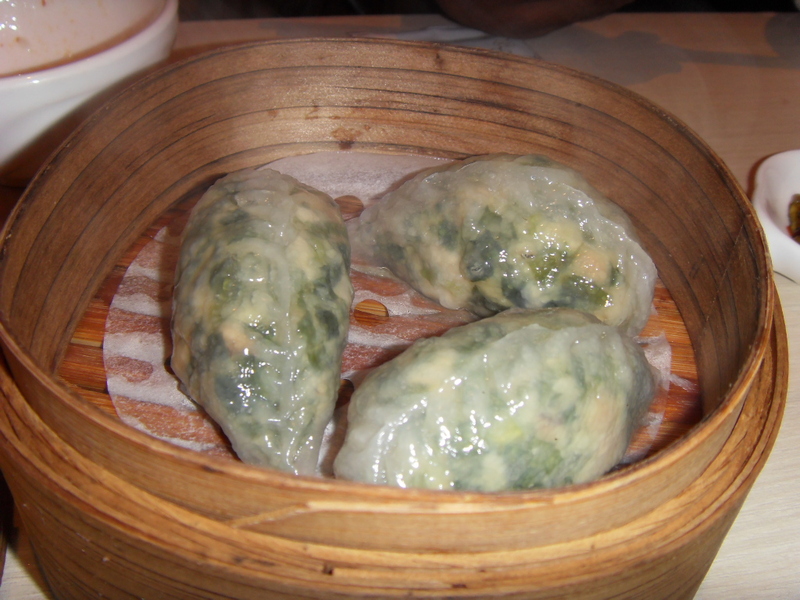 The Leek and Prawn Dumplings I got because of the sudden need to eat vegetables, and while I am used to a nice big prawn almost like eating Har Kau with Leeks, today it was somehow not there at all. The prawns were smaller. 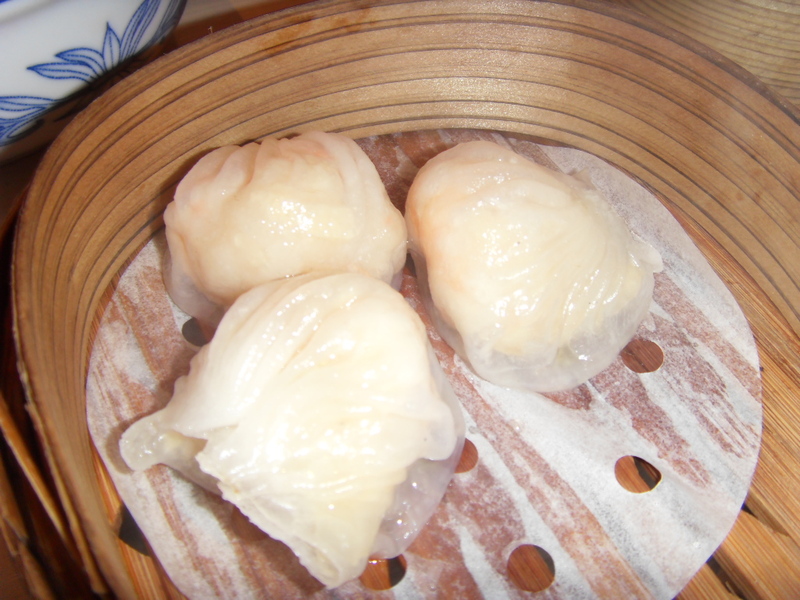 While there was a few prawns in the dumpling, but somehow small prawns to me just did not do it. Aunty Beth did not eat it as she did not like leeks. We ordered two baskets of everything of course. 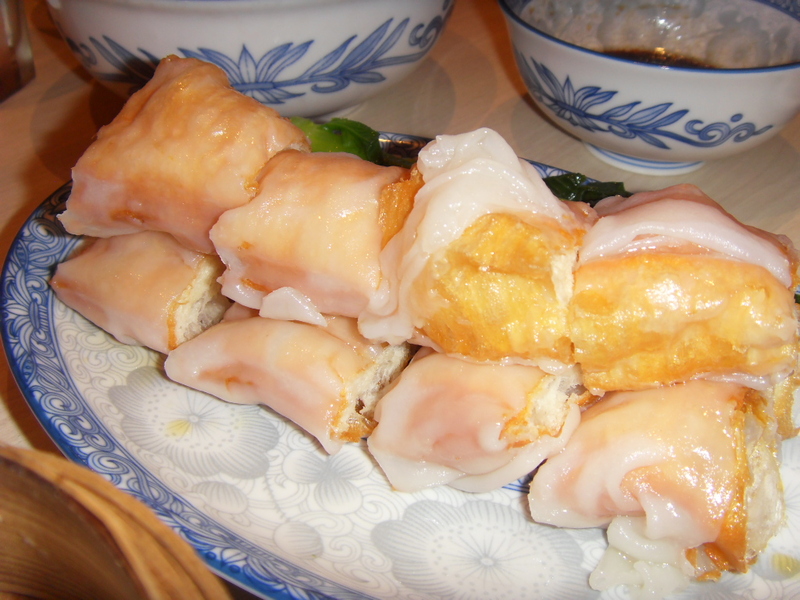 The Prawn in Beancurd skin was next. Now this dim sum came earlier but since it was hot no one touched it, and after almost ten minutes, it was still piping hot and smoky that when Aunty Beth ate it, she actually burnt her tongue. 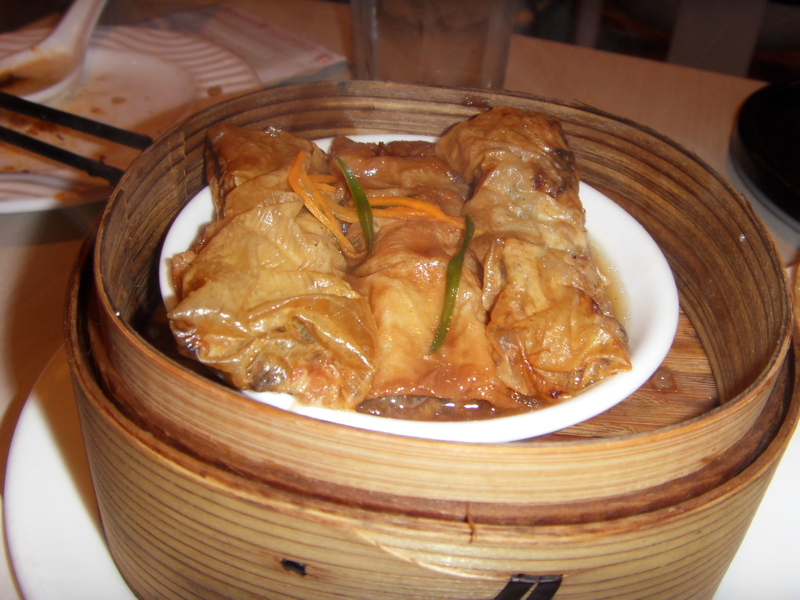 Such is the beancurd wrapping in keeping in the heat. So be careful when you eat it. Once again, I think I have had better at Canton I. 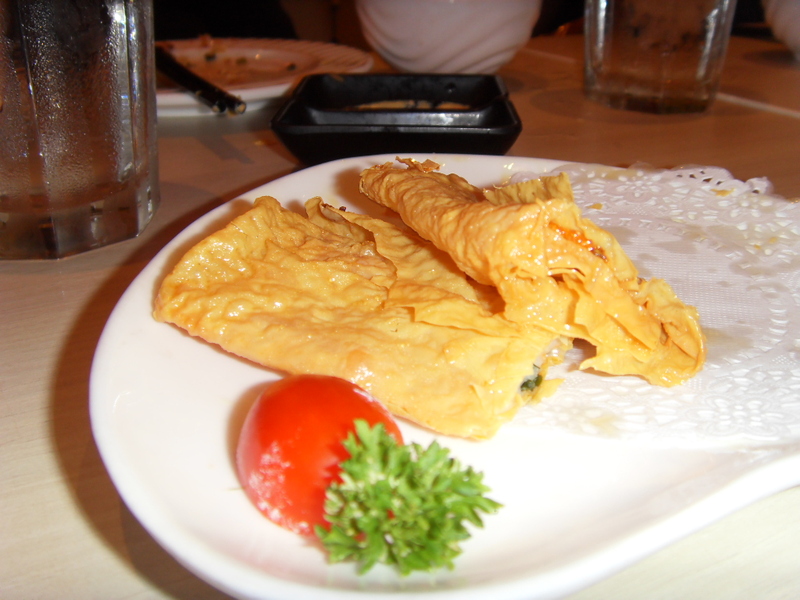 Somehow when I ate it, the beancurd skin was a little too tough for my liking. Usually even when it is soaked in the sauce, there is a slight crunch to it. This was not the case today. I do not know why but again the prawns were the culprit. It was not bad of course but I have eaten better in Canton I.
Char Siu Pao was as usual good, I did not bother eating it but everyone liked it. It had just the right amount of meat and bread as usual. So no complaints here at all. It was piping hot that my camera lense was misted by it. Now the sorepoint was the Crispy Fu Chok with Prawns. Now I have had this before and there would be a big nice prawn inside each piece. Today there was none. Really there was hardly any prawn in each Fu Chok pouch. Once it came to the table and I saw how flat it was, I knew something was wrong. This was really disappointing. Too much Fu Pei, it was all over the place. I am sure if I go on another day it would be different. I will make sure I check it out next time I am there. Again the prawn was the culprit here. By the way forgot to mention, our waitress forgot our noodles. And by the time we rectified it, it was too late. We had already lost interest. So no noodles for the birthday boy. Finally dessert! Now for sure everyone knows I am a fan of desserts, and so is the rest of the family, but because our order was taken the way it was, we had no time to order our other favorites. I will talk about this the next time I go there. So we only ordered the salted egg steamed buns. 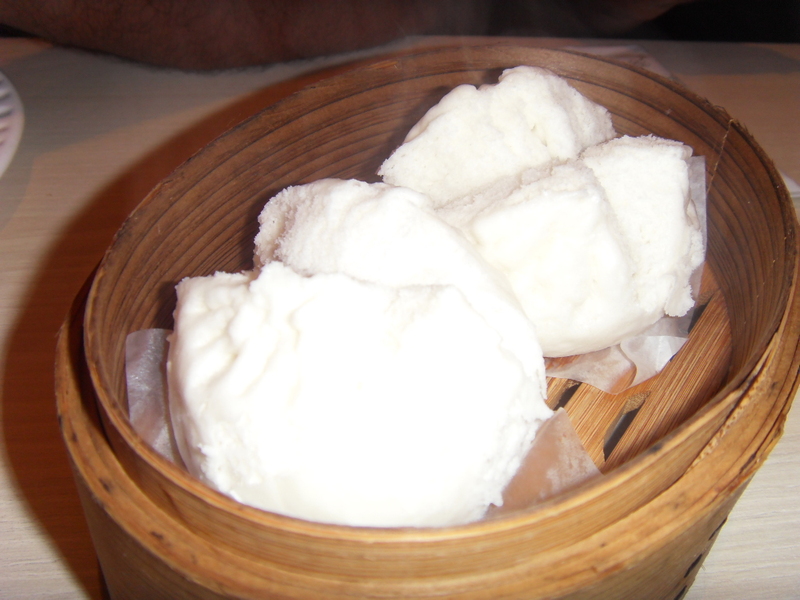 Now I just love the taste of these buns and the salted egg mixture flowing out like lava is simply a sight. However we were unlucky today, as our waitress was slow in giving us new plates so by the time we opened up out salted egg buns the egg mixture had thickened. This is a typical example of a spoilt meal experience. The buns nice of course except nothing flowed out. 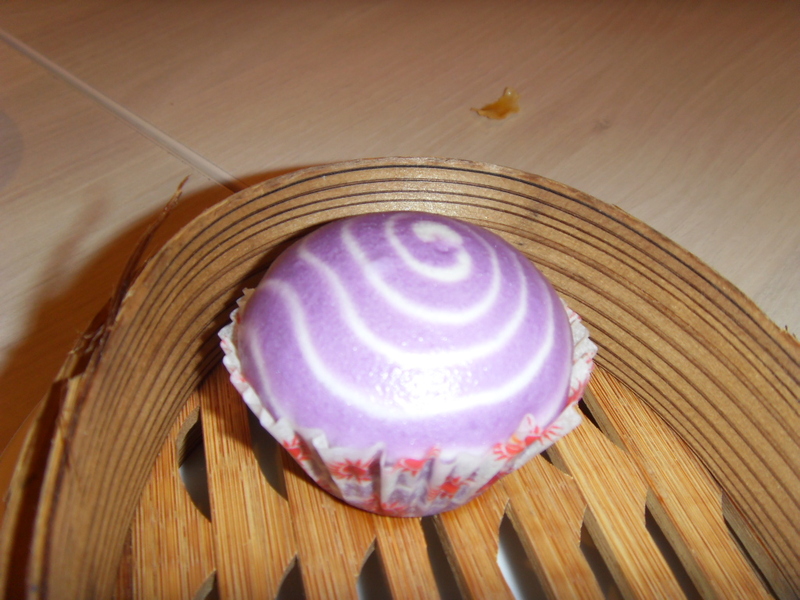 The nice salty yet sweet taste of the egg in a slightly sweet bun is simply wonderful. The photo shows one bun, because everyone grabbed it before I could shoot it. All in all, Canton I is still a favorite of mine. I don’t mind going there again in a few days time if given the chance but I have to watch my girth since today I was told I resemble a certain bodybuilders brother! Try Canton I. I am a fussy pot, and yet I may grumble about certain things, I will still highly recommend it. It’s Done!! 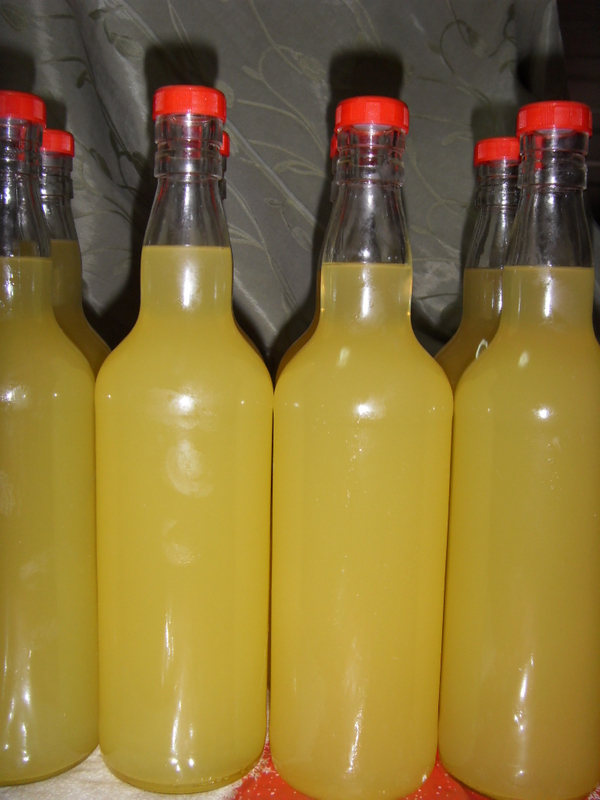 Limoncello – The Epic Ends! It’s finally done! My first batch of Limoncello is cooling as I am typing this half drunken with lemon alcohol fumes. Even Eda is walking around looking quite dazy unlike her usual no nonsense perky self. The fumes can really get to you, and you could end up teary eyed and it shoots right up the brain. I am burping alcohol now and all I tasted was 2 teaspoons, once before the sugar syrup went in and another time after the sugar to ensure the taste was fine. It’s fine by the way. Not that I am a Limoncello expert but I think its good enough. 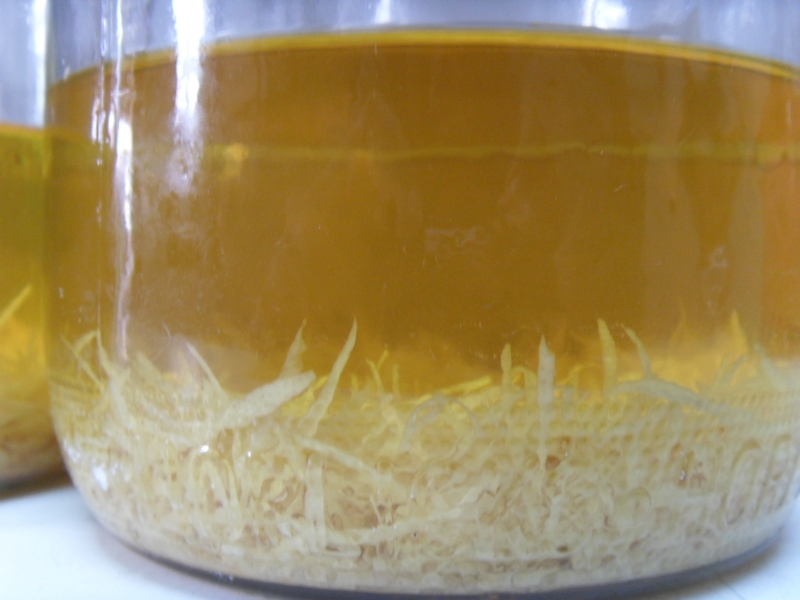 This is how the 8 day old Limoncello looked before the mixing. Note the color change of the Lemon Skin, it is almost a creamy white today. 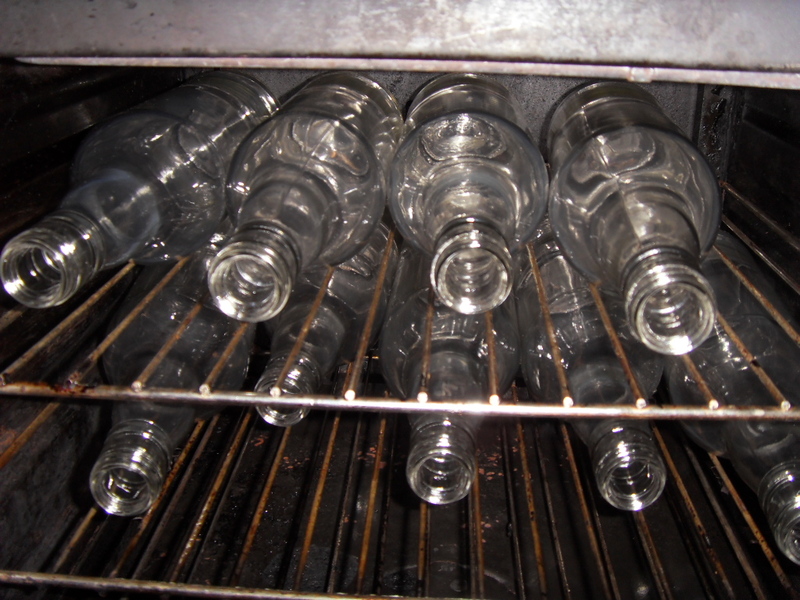 Wash Bottles and dry it, place it in the oven at 100 C for about an hour or so, then leave it in the oven to cool down. This is to make sure the bottles are disinfected and kept clean. You can buy these bottles in bottle shops. Sent the mother and somehow got these not so nice looking bottles. 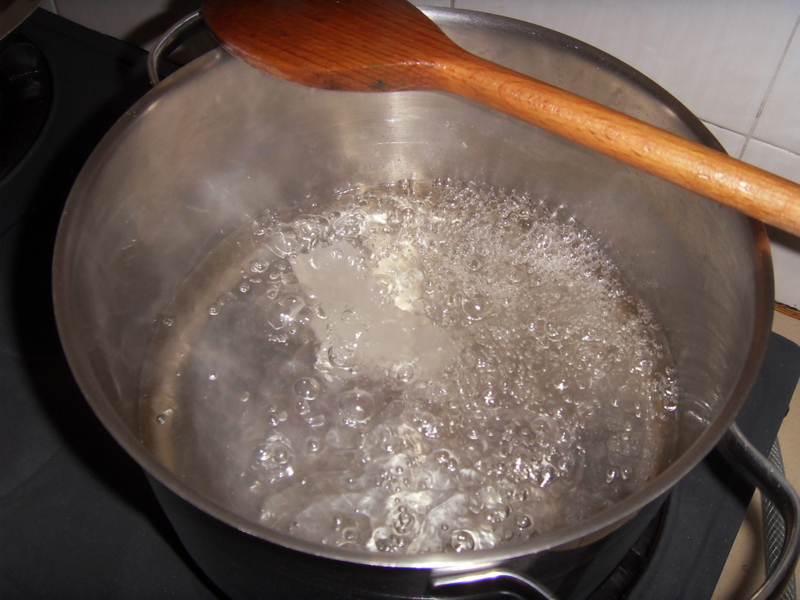 Boil 6 litres of water and once boiled add in 4.6 kilos of sugar. Leave to boil on high and let it cool for a while. 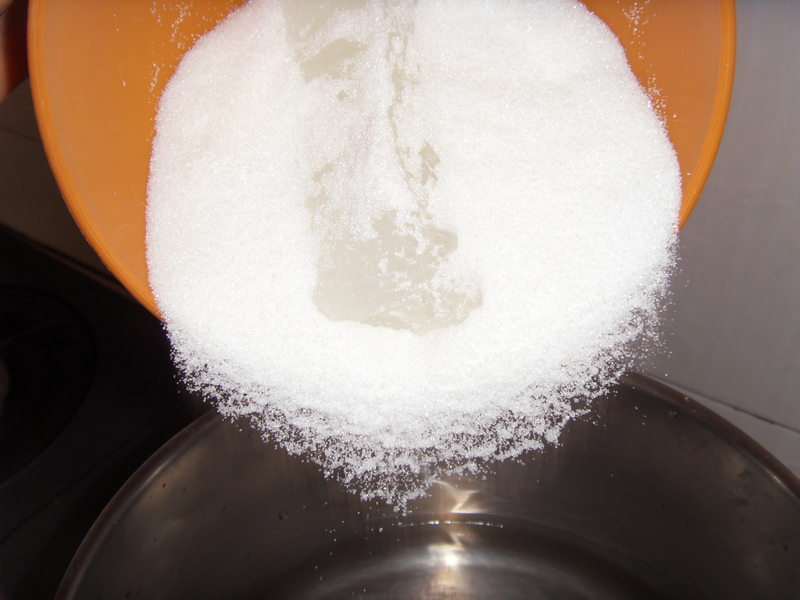 Sugar should be boiled properly as sugar that is not boiled properly can ferment. Use a large ceramic bowl, the old fashion mixing bowls is a good choice here. 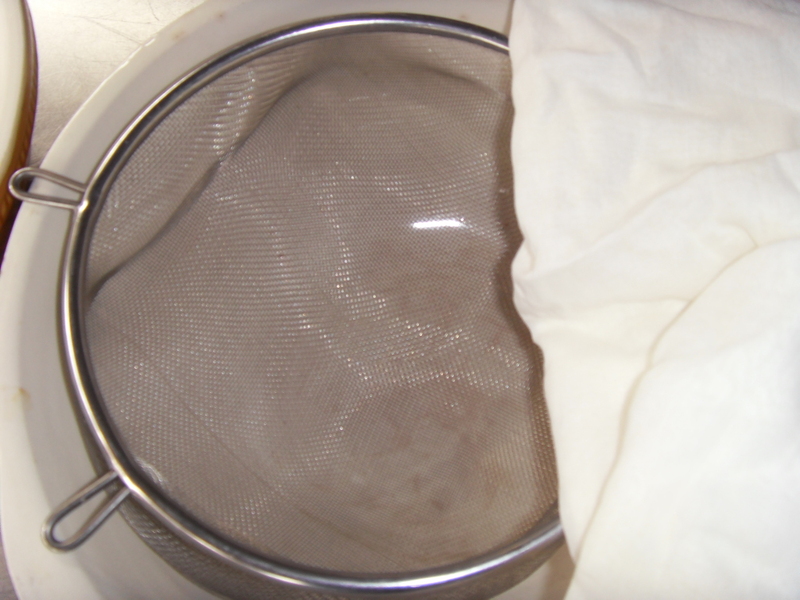 Use a metal mesh strainer and cheesecloth. 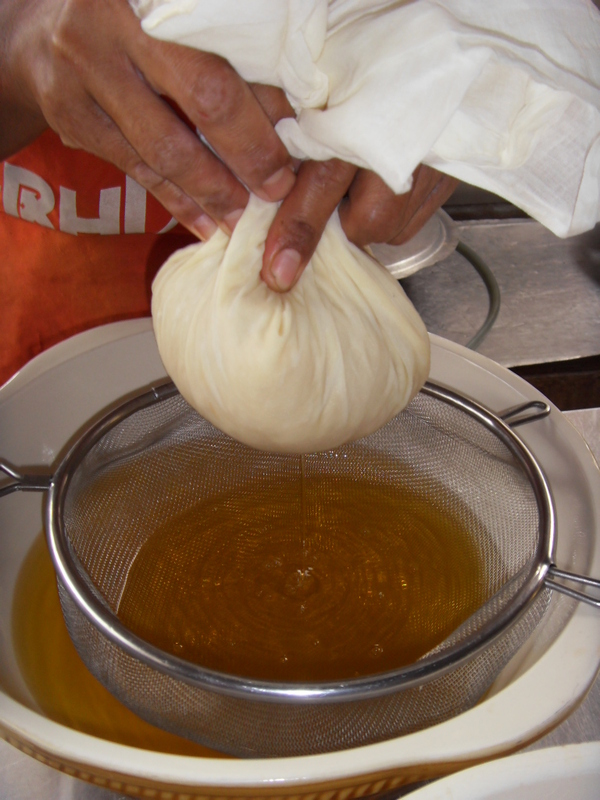 Fold the cheesecloth a few times but make sure it covers the metal mesh strainer. 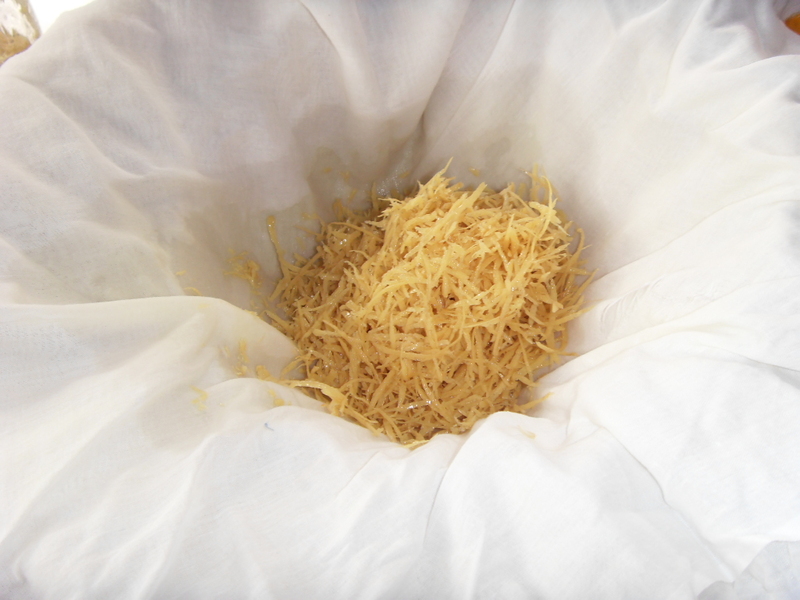 If you need to buy cheesecloth, in Malaysia you may need to say the Tau Foo Fa cloth, because we do not make cheese here in this country. Shake the bottle a little and then strain the 8 day old Alcohol Lemon mixture. Be careful with the fumes as it can cos you to be teary eyed, and I even got goose bumps for some reason. Must be a trite virginal in a way to be affected like this. What can I say? 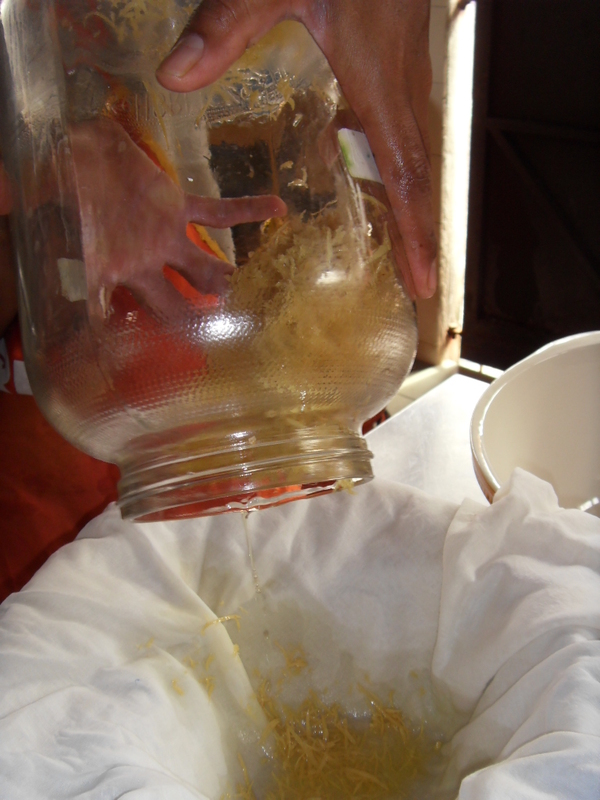 Squeeze out the excess alcohol lemon from the cloth. Pour in sugar syrup and let it cool further before bottling. 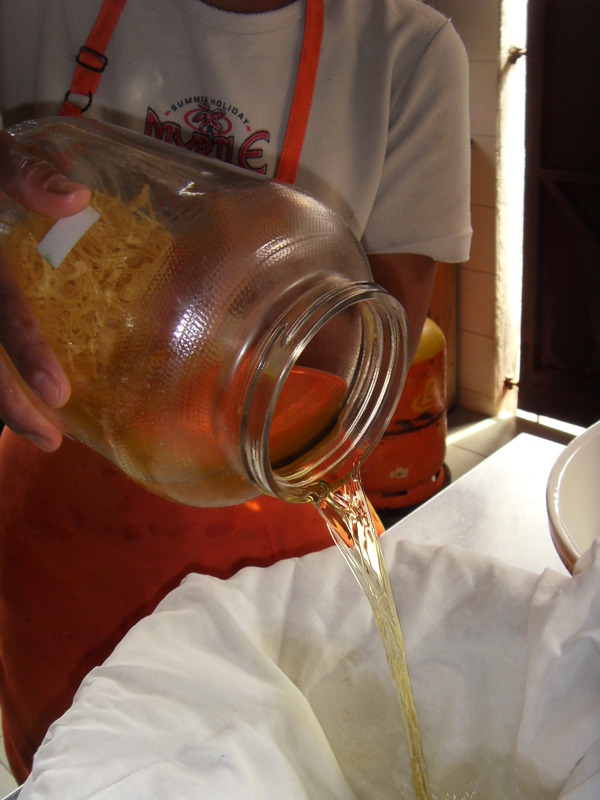 Limoncello has to be thoroughly cooled down before you pour it into the bottles. Store in the freezer, as Limoncello has to be drunk when it is slush like. So store it in the freezer a few days before use. Drink away or watch others get hit by its innocent looks yet potent content. please forgive the ugly bottle tops, trust my mother to get the wrong thing. It is better to get screw top bottles. So keep your screw top bottles if you are going to make it. By the way…. It makes a great gift! 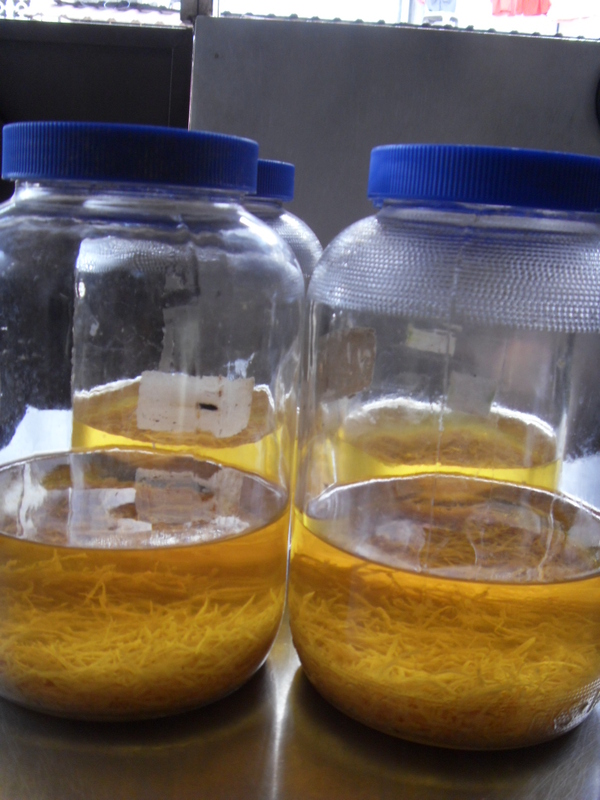 Limoncello Day 7 – The Last Day so please pray! 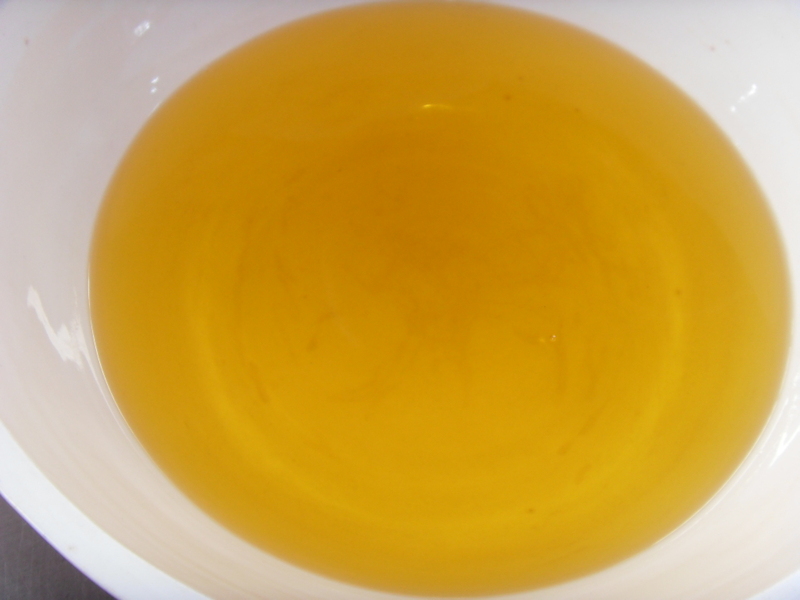 Today is the last day of my Lemoncello – alcohol and lemon soaking together. It’s a nice tinge of yellow I might add, a nice golden, so let’s hope today’s final day of soaking will make that change. What change I still do not know but nevertheless, change in taste, change in color and whatever change that may occur. I have never made this before and suddenly I am making ten bottles of it is a little daunting because if the recipe I have is anything but, then Saturday night our guests are going to get something else. If it fails, the chef thing has to come out and we’ll just have an alcoholic lemony dessert… hmmm an Alcoholic Lemon Meringue Pie does come to mind. Just imagine all the old foggies eating it and falling all over the place in drunken stupor. Priceless Moments I am sure. Ok enough of letting the imagination run wild. I will make sure it works. Lemoncello here I come – I hope! Tagged Limoncello Final Day, Recipe, Step by Step. Today was a day of rest, for the last four days since Thursday I have had heaps of orders as well as having to prepare for my cooking workshops which happened yesterday. So hence the slowdown in blogging. So today, Dan suddenly asked me if I wanted to go out for lunch, a rare occurrence I might add especially on a Sunday, so I jumped to it. He suggested Pavilion in KL, I thought perhaps somewhere closer but I did not argue. So at 11.45 I was in his car on the way to Pavilion. We reached at 12.15 and funnily enough there were heaps of Car Park space. This was a strange phenomenon especially on Sunday afternoon, because I know for a fact even during our economic recession last year Pavilion was always full. Anyhow today was easy so I am happy, no complaints. So we walked around first restaurant we saw was Ying Ker Lou, but since I was there last weekend at the Curve, so no, not again. We walked through the whole floor thinking of what to eat and then we got on an escalator after another escalator and soon we reached the floor of the so called more expensive section of Pavilion. We passed a few, the most appealing one was the Vietnamese Restaurant. Dan asked if I wanted that, but I suggested we walk around and then come back. He suggested Chinese which I was fine, and then suddenly we passed Al Amar and he looked at the advert, and said ok Al Amar. The power of advertising I might add never ceases to amaze me. Dan and I were at Al Amar with my friend Noreen during Chinese New Year and we liked the food. 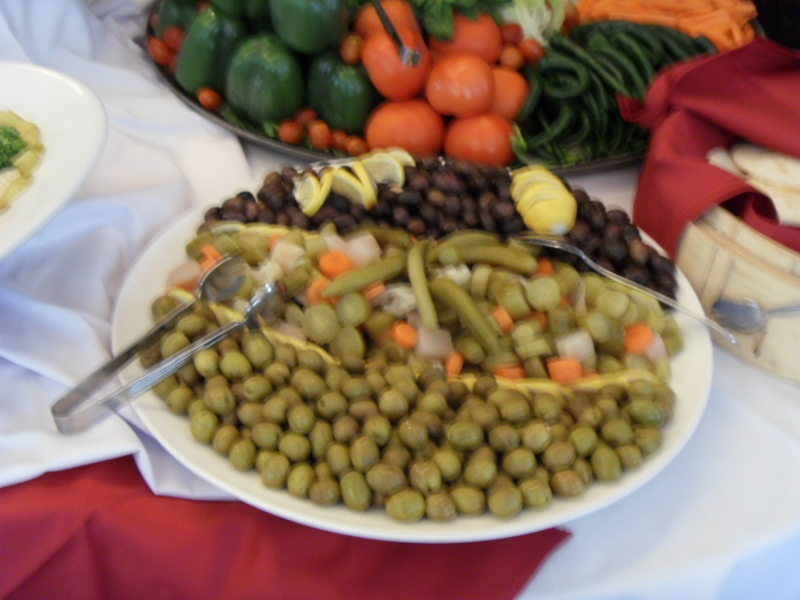 And Noreen mentioned about their buffet and how wonderful it was around April and so we thought why not. I had desserts in mind, and I am sure Dan thought the same. 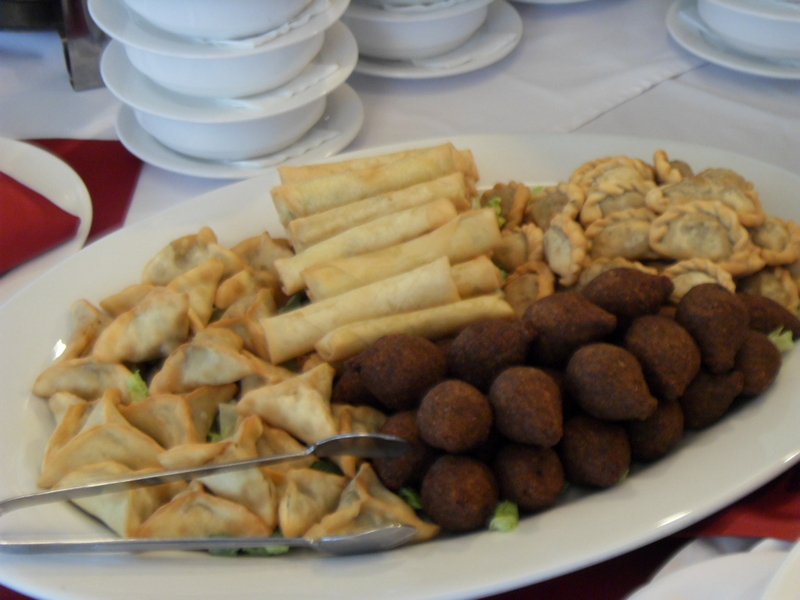 And of course the other foods that we would be able to savor this afternoon that we could not manage that time we came in February. We entered and was greeted almost instantly when the owner chef signaled the waitress. We were seated, and I looked at the array of starters and was very impressed. The photos speak for it self. Sadly, none of the foods had names. 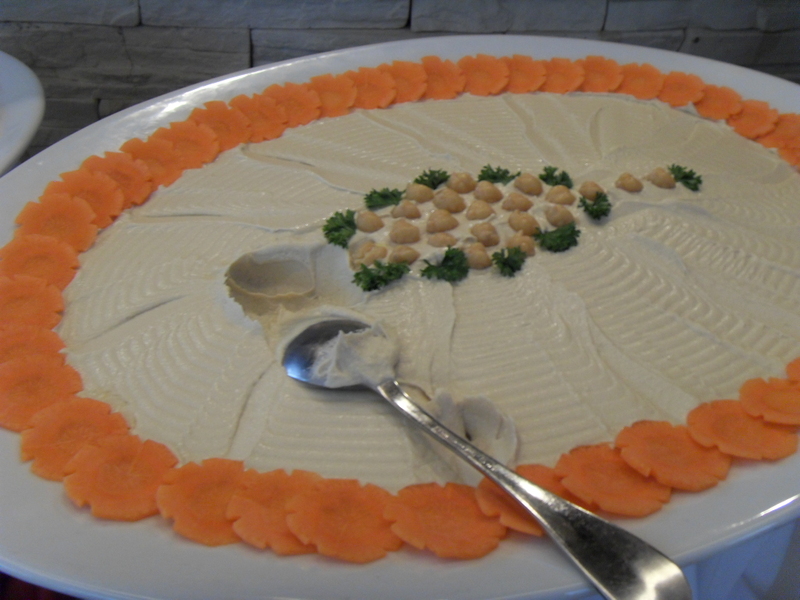 While I am a fan of Middle Eastern Food I am still not familiar with the names and so it would have been a good idea to have names so that we could be more well versed about what we ate. But perhaps they wanted to keep it a secret. I will endeavor to look for all the names of the foods we ate today. We sat down not even three minutes and Dan says “lets start”. So we did, That’s what I like about Dan, when we go out for a buffet, there is no namby pamby. You eat straight away. Now as I said earlier the starters were just excellent looking. It was a myriad colors and even though some things may have been bland, the people at Al Amar succeeded in making every starter look rather photogenic. I am sure the photos speak for itself. Now as I took my starter with Dan I glanced around and noticed the dessert table looking a bit mundane. But I guess it was a bit early and Noreen did inform me that they served and array of desserts when she was there a few times, so we had hope. 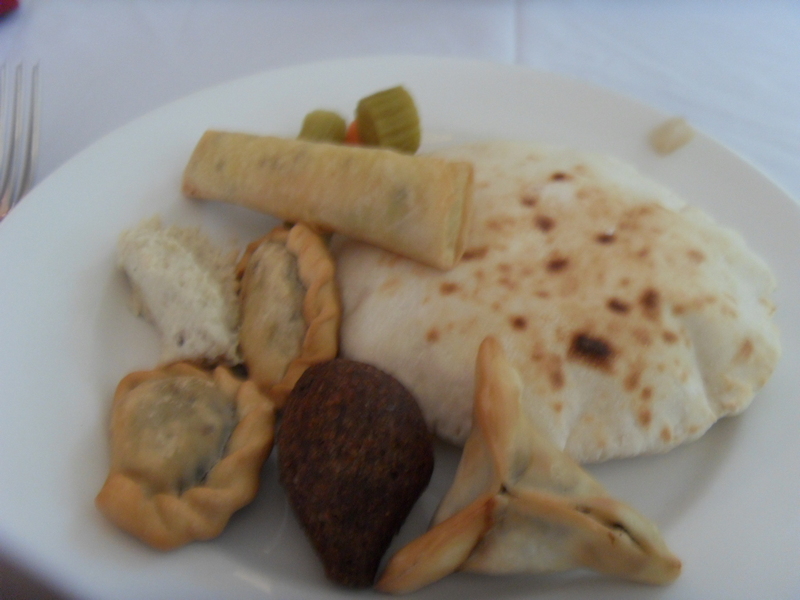 The Starters were excellent to eat, we polished out first plate and then went for a second one. Beverage was free flow, something I like because I tend to drink a lot. So if you have free flow beverage, there could be a chance I will be lurking at your place. 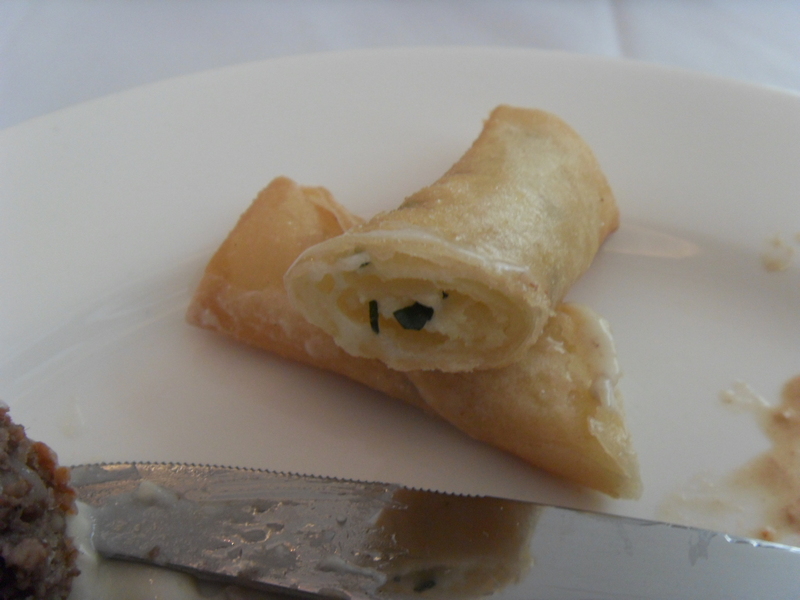 I found my friend cheesy spring roll to be just the way I like it. In fact I enjoyed everything on that platter. 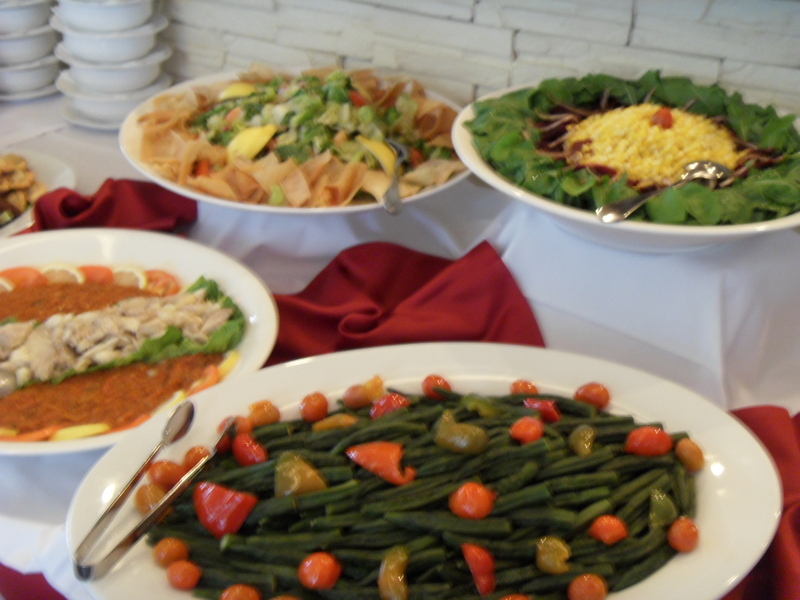 Or course I enjoyed my breads and salads and well suffice to say, I loved it. In fact I went for a third plate of Starters, and this time I ventured to the main courses to check what was in store for the next round. There were 11 main courses and also 2 soups. 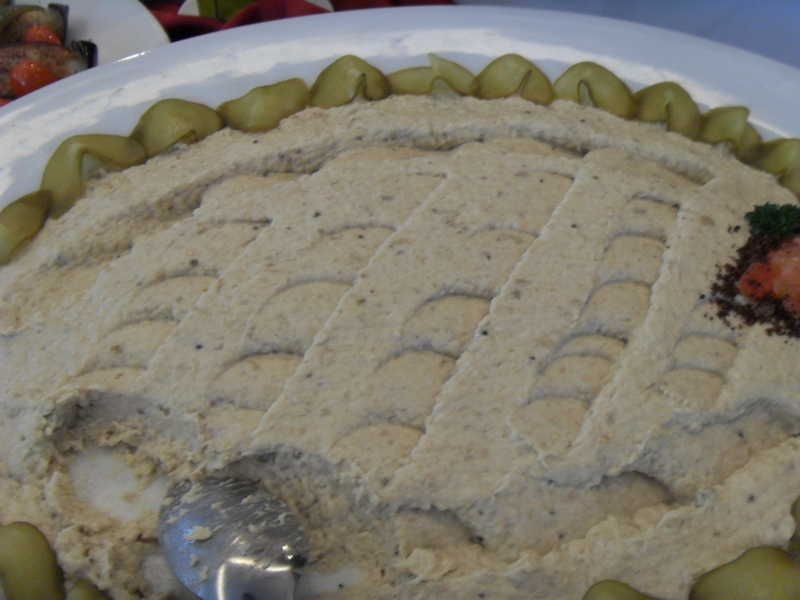 One by one I opened it and everything looked nice and rich, and I might add, simple Lebanese foods.. This is probably because Al Amar know people like me come in and may get confused if they cooked anything too foreign. So I think! We staggered for awhile and then went for our main courses. I thought I would try the Lasagna because it looked nice. Then I took some Beef Balls in Sour Cream ( I promise to get the name soon). Then suddenly everything looked too heavy and so I thought I would go and try it later. I did check everything again. I wish there were names of the foods. Would make the life of bloggers much more easier. I did find the last dish to be strange. It was the seafood dish, with Crab Sticks. Now any chef in the world unless you are Japanese will know that there is no crab in crab stick. Whilst I know of the escalating costs in food as I am in the business as well. But still, to substitute crab with crab stick is not right. The chef and owner should understand people are more discerning these days. Dan and I did not go back for a second serve of main courses, simply because we were full and nothing really tingled out palates. Now I must add. I may be fussy but Dan is not usually this fussy. He was full though, but that did not stop the two of us to go for the starters again. So we started with Starters and we ended with Starters….. WHY???? Dessert was shocking! I think Dessert was such a downer. It was a pancake like thing with a gummy tasting stuffing in it. It was really not to my liking as Dan and I had high expectations for the dessert. There were fruits. Funnily enough the cheaper fruits were cut but the slightly more expensive stuff like the grapes and mangoes were on display. I did not go for the fruits, although I was tempted to ask them to cut a mango for me. I should have perhaps. Frankly, I won’t go for Al Amar’s Buffet. I would go for the normal a la carte menu. The last time I was there in February I had a wonderful time. Now I don’t know why but perhaps it’s me and Buffets. Somehow I never ever enjoy myself. The bill was $149. I guess that was not too bad, the ambiance was nice, very stylish people of Arab descent walked in, it was a nice sight to see. Try Al Amar. Maybe if you are a newbie, try the buffet. But if you have been there and had A la Carte, I suggest you stick to A la Carte. Today I shook my Limoncello contents and decided to open the cover just to see if everything was ok and not off. And off it was not for sure, because as soon as I stuck my nose near the jar the smell of the lemon infused alcohol shot right up my nostrils and I actually had tears in my eyes. It’s that potent! So everyone out there who wants to try this out, please don’t do what I did or even let a child near it because the alcohol can really shoot right up your head and give you kind of a brain shock. So from all this I can safely say by Thursday when I bottle the contents I can safely say it should be on track. Hopefully the color will be a nice lemon yellow because so far it seems to be still clear to a light tinge of yellow.